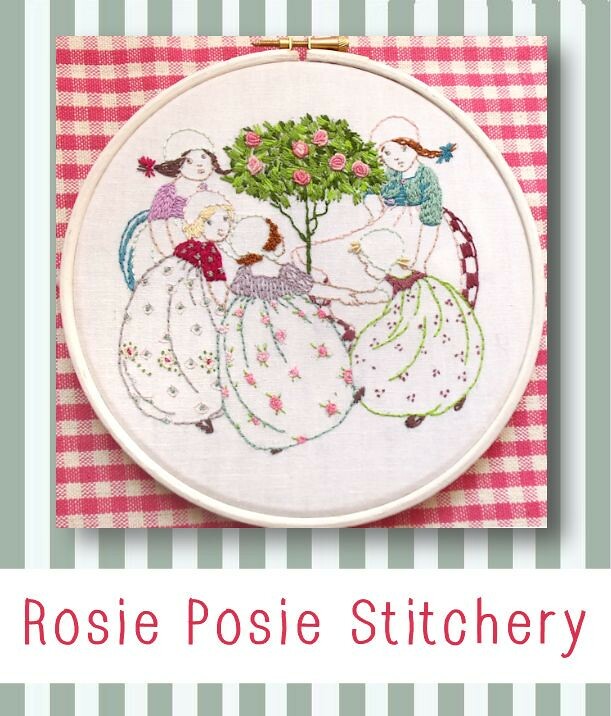 This pattern is my own interpretation of a lovely vintage illustration by Anne Anderson taken from “The Rosie Posie Book” originally published in 1917. 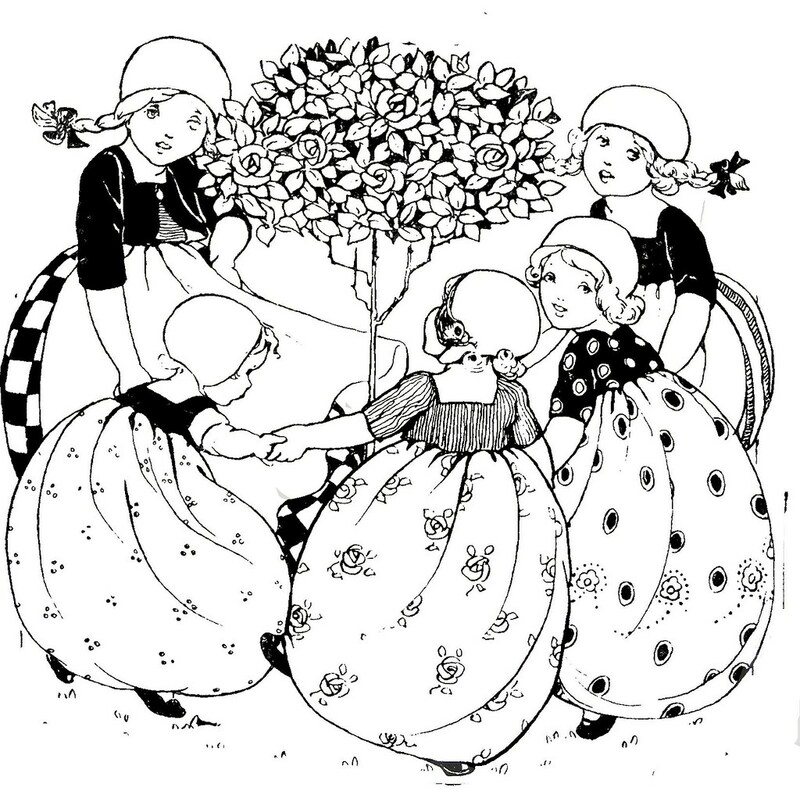 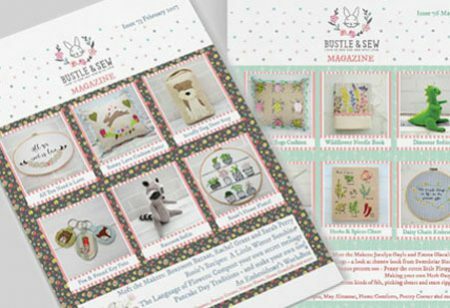 The image I have chosen to stitch is the frontispiece and although I haven’t exactly copied the colours of the little girls’ dresses in the book, I have tried to keep to Anne’s palette of dusty muted hues and I hope you’ll like my choices. 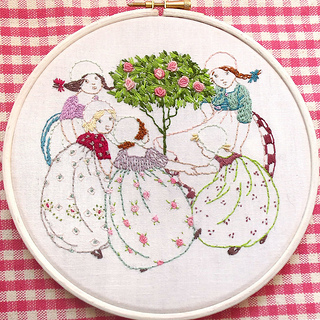 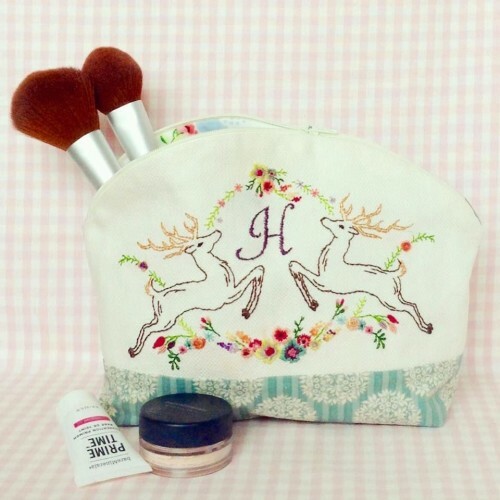 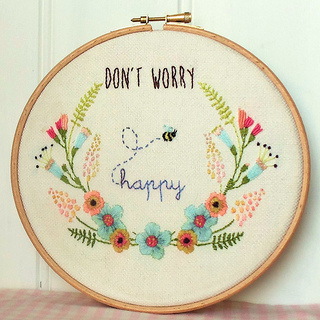 Uses French knots, chain stitch, bullion stitch, satin stitch, back stitch and straight stitch and is shown framed in a 7″ hoop.